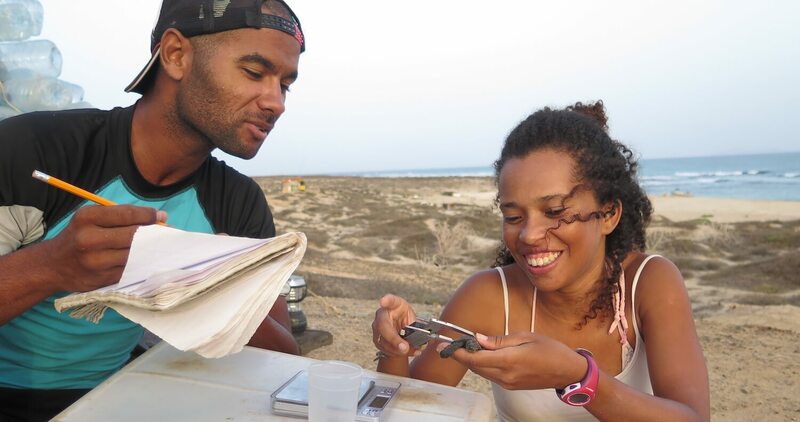 Biosfera staff measure a hatchling loggerhead sea turtle (Caretta caretta) in Cabo Verde. Since our founding in 2000, CEPF has provided funding to more than 2,300 grantees around the world. Whether a small farming cooperative adopting sustainable agricultural practices in Tanzania, an indigenous community securing formal land rights in Peru, or an international organization dismantling the illegal wildlife trade in Indonesia, our grantees are protecting some of the planet's most vulnerable ecosystems and the species that depend on them. The below list includes recipients of small and large grants as well as subgrantees. ASEAN Focus Group Pty. Ltd.
Aurora Resource Development Initiatives Association Inc.
Beijing Shanmo Investment Consultancy Co.
Bristol, Clifton and West of England Zoological Society Ltd.
Centro Euro-Mediterraneo sui Cambiamenti Climatici S.c.a r.l. Cooperativa dos Agricultores Familiares e Agroextrativistas Grande Sertão Ltda. East West Management Institute, Inc.
Environmental Citizens Association "Front 21/42"
Environmental Legal Assistance Center, Inc.
FORCERT - Forets for Certain; Forests for Life! Foundation for Integrative and Development Studies Inc.
Friends of the Environment for Development and Sustainability Inc.
Fundación Corcovado Lon Willing Ramsey Jr.
Fundación José Delio Guzmán Inc.
Livelihood Enhancement in Agro-forestry Foundation Inc.
Natural Resources Development Foundation Trust Board Inc.
Northern Sierra Madre Natural Park Development Foundation Inc.
ONG Asociación Boliviana para la Investigación y Conservación de Ecosistemas Andino Amazónicos "ONG ACEAA"
Philippine Eagle Conservation Program Foundation, Inc.
Sanbona Game Reserve Pty. Ltd. Skills and Agriculture Development Services Inc.
Sociedad Mesoamericana para la Biología y la Conservación y su Capítulo México, A.C.
Surigao Economic Development Foundation Inc.
Wakuluzu: Friends of the Colobus Trust Ltd.
Yakap Kalikasan Tungo sa Kaunlaran ng Pilipinas Inc.